Drone For Wildlife Photography – To Fly or Not to Fly? I have been considering a drone for use in my wildlife photography for a few months now but wondering just how many practical applications there really are. I was well intended when I bought my GoPro but it’s been in my bag with one or two exceptions. I tried it for underwater photography but found the results were lack luster. Perhaps I need to get a little more creative in my approach. This morning I was reading about the Lily Drone. 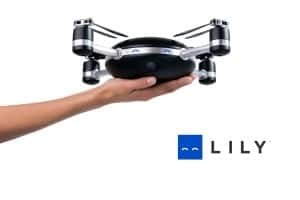 The best part is that there is no need to manually control this drone, you wear a tracking device, throw the Lily Camera in the air and it takes off and follows you wherever you go. Like most photographers I have no pictures of myself, let alone pictures or videos of me taking pictures of wildlife so I could use the Lily to do a personal documentary if I so chose. If I placed the tracking device on my dog and set her loose in a field that might bring back some interesting footage, I’ve often wondered what she sees and where she goes. As you can see I’m struggling to find wildlife photography applications for the Lily but it’s cool factor is just so high I really want one so I’m looking for other wildlife photographers to help me out here. How do you use your drone for wildlife photography? Can you envision wildlife photography applications for the Lily Drone? Then there’s the whole question on whether I should be getting a drone that I can fly or one like the Lily that has no requirement for an operator. Of course what I’d really like is the best of both worlds, one that I can fly if I want with the option to track me like the Lily. For those of you who have not heard of the Lily Camera you can check it out at www.lily.camera. I like that it is ultra-portable weighing it at 2.8 lbs and is only 10x10x3 inches so you can easily pack it in with your other gear but its battery life is limited to just 20 minutes. It’s waterproof, which is very cool, but because of that the battery can not be removed and replaced by a spare on the fly so you need to spend two hours charging Lily in between flights which is not cool. With 12MP stills, 1080p at 60 fps and 720p at 120 fps slo-mo video it has everything I’d want if I could just think of a way to creatively use the little gizmo. All suggestions welcome please.